Digital Marketing has taken a front seat in the recent years and people are now more inclined towards promoting their business online on various platforms, Youtube being one of them. You would see millions of content creators who put up videos on Youtube, but only some of them have been able to stand out. So if you too wish to be one of them, then you really have to be Youtube savvy. With so many people creating multiple contents on each topic, it can become a bit difficult for you so create a unique content that it would engage all of your target audiences. The first thing that might come to your mind hearing the word ‘Marketing’ is an advertisement, but if you go with most of the Youtube audiences, Advertisement does not really go well with them. So while formulating your Youtube Marketing Strategy, do keep this in mind. So now, it is the time for you to think about some other creative ideas, which would not only promote your products but would also engage your audiences in an entertaining way, so much so that they are able to relate with the content. 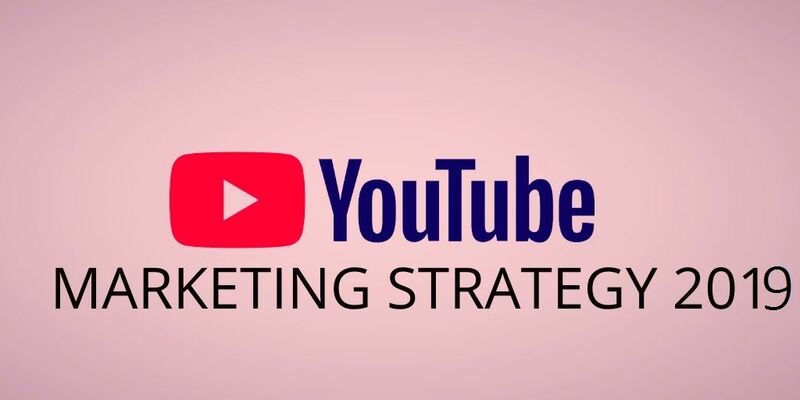 The idea might seem to be a bit tough for execution, but trust us it is completely achievable and many of the famous brands are formulating their strategy of Youtube Marketing in a similar way. With around 400 videos being uploaded on YouTube every minute, there is no doubt that you would face a lot of competition but the brighter side is that, if you are successful in standing out, you would get a direct exposure to your core audience. With more and more people, shifting their entertainment base from television to the various online platforms, creating content on a popular website like YouTube would surely help you to increase your brand awareness in a much lesser period of time. With youtube, you would get to interact directly with the customers. You would be able to see whether people like your content or not directly. It has been observed that when people see a meaningful video of a product, they are more likely to get attracted for buying it. Hence taking live feedbacks of your viewers and then creating a video can be of a lot of help to you and it would also result in increased views and more likes. Talking about the returns on investment, Youtube have the best of it. Creating videos, editing them does not require much of an investment and with numerous software being available in the market; it is very easy these days to create low cost videos. And as your channel becomes popular on the youtube platform, you would get some great returns from it. Creating good Youtube videos can also help you get good ranking on Google search engine. It has been observed that, whenever an individual searches something on Google, then a relevant video results pop up under the 1st ten searches. So if you can create a video which get more views, it would not only get popular in Youtube but it would also get equally popular on other search engines. It has been observed that video marketing increases the organic engagement rate of the customer. When they see a video to which they can relate to, it not only increases their attachment to the product, but it is more likely that they would buy it. It has also been seen that people would click to see a video more often rather than clicking on a post to read it. Now that you know the need of Youtube Marketing, let us explore some ways by which you can ‘stand out’ from the crowd and mark your presence in this online world. These tips can prove to be really helpful for you when you decide on creating the next content to promote your brand on Youtube. To succeed as a Youtube marketer, the first thing that you would need to focus on is creating videos which are short and engaging. If you are capable of grabbing your audience’s attention through a small video then half of the battle is won, failing to which would lead your audiences skip the same. This is one of the most important Youtube Marketing Tips that you should definitely follow. You should design your thumbnail and name the video in such a way, that even if a person hates it, he would not be able t resist himself from clicking it. This would attract more audiences but be aware not to have a lot of differences between the thumbnail and the real topic of your video, else the clickbait can go against you and you might end up getting a lot of dislikes. You would need to make sure that your audiences get hooked on to the video as soon as it starts. You can do this by starting your videos with an interesting scene that would come at the later part of the same. Starting with the title introduction has become old fashioned now and Youtubers these days are focusing on this strategy to increase their watch time. Rather than marketing your products directly, which looks more like an advertisement, go for a story which would not only keep your viewers engaged and entertained, but this would also help you to connect with the viewers emotionally. This in turn can have a great impact on the image of your brand. One of the best things about Youtube Channel Marketing is that, you can get as creative as you want. Having a short and sweet video which would connect with your audience’s emotions and yet would also promote your brand is quite a challenging task. Smaller videos which have all the elements in it, gets more views and hence are much better choices for the Youtube Strategy. The first thing that you would need to do is, creating your own youtube business channel. The brand account channel would help multiple authorized Google account holders to log in simultaneously and manage the channel as and when required. When you open up a business channel, youtube would grant you the access to the analytics tab which would contain all the Statistics that are related to the channel. You would get to know about many things that include the behaviour of the audience which would help you to grow. The next thing is to research about your competitors and see where they lie. This can help you to formulate your own strategies, you can also take references and tips from the popular channels. Now that you have a fair knowledge about Youtube Marketing Strategy, you might have understood that the most important thing that you should aim for while creating content for the youtube platform is views. When you would start initially, it would be really hard to get adequate amount of views organically. In such a situation you can opt for paid views. Paid views can help you to grow your brand on the platform and it would also help you to accumulate more viewers initially. Another important element of Youtube Marketing Strategy is gaining subscribers. As the number of your subscriber would increase, the position of your youtube channel would improve which in turn would also improve the image of your brand. Opting for paid Youtube subscribers can be a great decision to kick start your channel initially. Famoid YouTube Services can prove to be really helpful for you. It would not only provide you with the most authentic views and subscribers that your channel would require but at the cheapest price. There are multiple packages available with different offers and prices, you can choose the one which would meet up to your requirements and grow your channel and way you wanted.